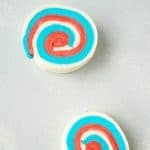 You can easily make these Soap Dough Bars yourself at home! It’s a great summer activity with kids or teens to boost their creativity. 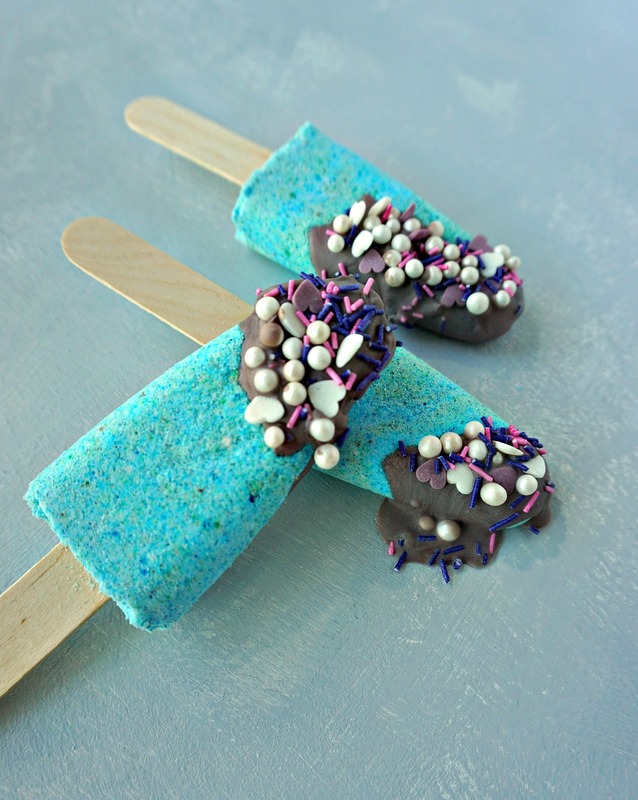 And when your soap dough bars are ready they are fun to use and have around your home! My Pinterest feed has been coloring red, white and blue for days now. A not so subtle way for my favorite social media platform to tell me that now it reeeaaally is time for a 4th of July inspired post! 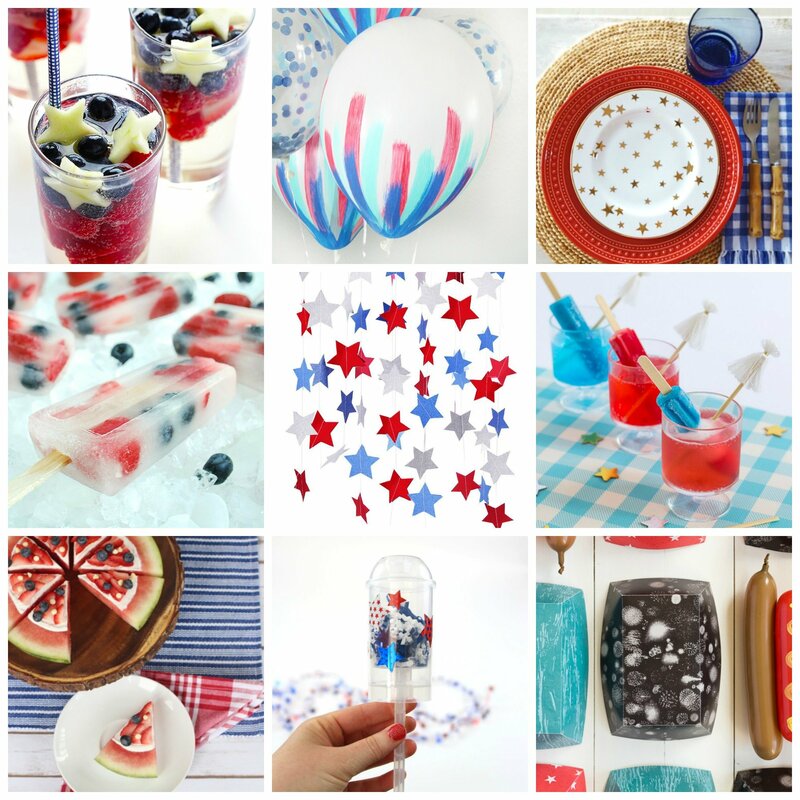 I’m more of a last minute kind of gal, I only start thinking about fourth of July decorating ideas when it actually is July. But you nifty planners are right; if you want your 4th of July party to be memorable for years to come it’s best to be prepared! 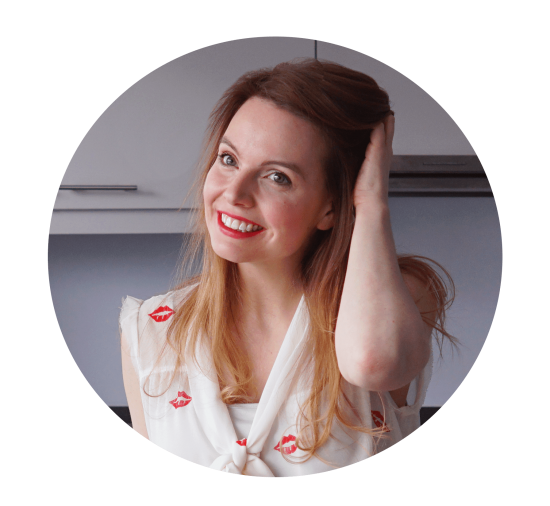 I’ve been collecting my own ideas here and there, like a red, white and blue pom pom garland (so easy and cute!) or zero effort fruit skewers (yum!). But for my own addition to all of these creative patriotic ideas I had to come up with some sort of bath product craft, of course. 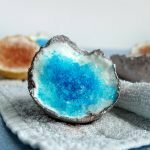 Last year I shared a stars and stripes bath bomb recipe. This year I wanted to do something different. I’ve been playing around with recipes for bubble bath bars lately. I haven’t found the perfect recipe yet, but it did give me the perfect party favor/activity idea: these little solid soap bars in different shapes and colors. To create these bars you just need to make a simple “clay” or dough. And the best thing: you only need 2 ingredients. The first is soap, the second is corn starch. It’s as simple as that! I chose castile soap, because I like to use natural and organic products as much as I can. Other types of body wash should work too, as long as they’re liquid. Or you can use a melt and pour soap base. Castille soap actually doesn’t foam as much as other types of soap, so you might even get a better lather! It is possible that you have to change the ratio of the ingredients a little bit depending on the kind of soap you use, so you might have to add more or less corn starch as you go. When you add corn starch to liquid soap it forms a clay like consistency, similar to play dough! 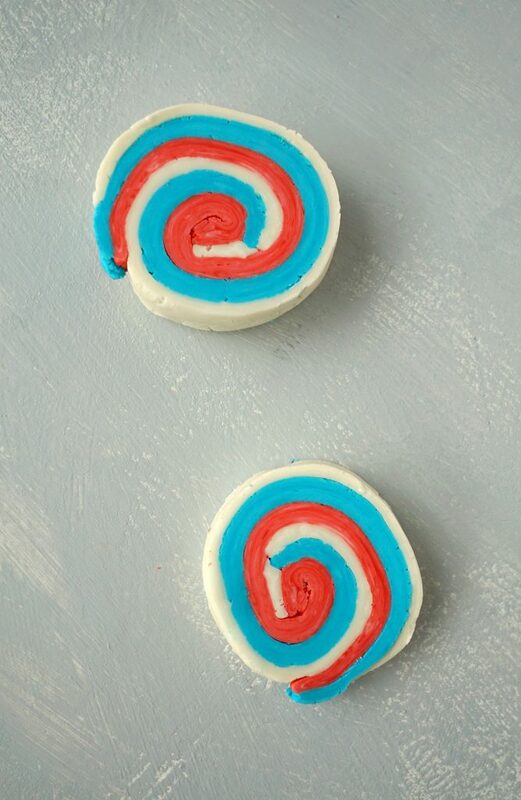 You can mold it in whatever shape you like, add color to it and form these cute soap dough bars. It’s so easy anyone can make these! I could make about 6 individual soap dough shapes with this recipe. To help you find the ingredients you need for this tutorial I’ve added links in this post to places you can find them online. I’m part of the Amazon affiliate program so I get a small commission when you buy something via these links. But feel free to Google the ingredients to find your own or buy them from local health stores in your area! Add 1/2 cup of corn starch to a bowl. Next, add 1/4 cup of body wash (I use castile soap). First I combined both ingredients with a spoon. It will start to look more and more like a dough as you stir. To really turn it into a moldable clay, you have to get your hands dirty. First dust your work surface with a light coating of corn starch. Knead the mixture like you would knead the dough for a pizza base or bread (or, like in my case, how you’d imagine you’d knead dough if you had ever done it before). Once the mixture starts to feel dry to the touch transfer it onto your work surface. Keep kneading until you can form a ball of dough. It should look smooth on the surface and dry as you hold it in your hands. Next time I’m going to try to add some melted coconut oil to the mixture, for some extra moisture and smoothness. To be continued! I divided my soap dough in 3 separate pieces with a sharp knife. You can also pull the dough apart or use another tool. Then I colored one part blue and another one red. To do this stretch out the dough and put a drop of soap or food coloring in the middle. Fold the dough so the drop is locked inside. Then fold it a couple of more times to distribute the color evenly. Just to warn you: no matter how carefully you do this it will stain your hands! 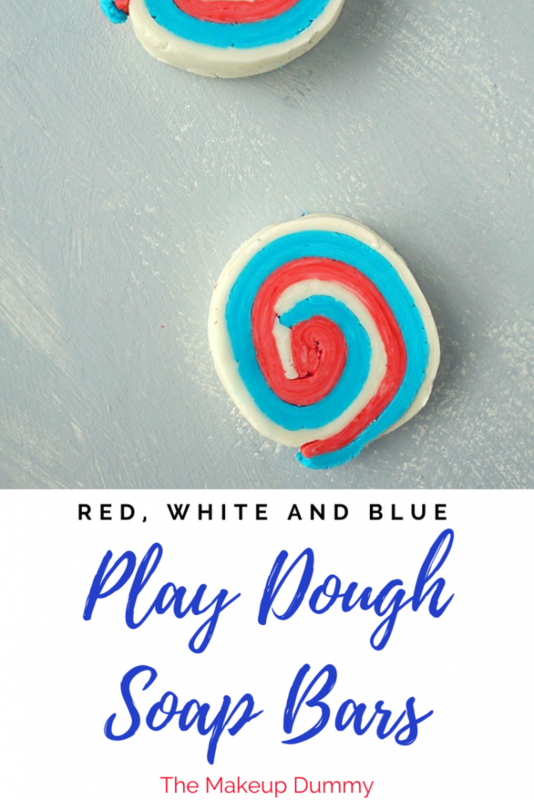 I colored the blue dough with soap coloring and the red with food coloring, because I actually DROPPED my red soap coloring bottle on the floor the other day. Can you imagine the mess? My floor looked like a crime scene from a horror movie, just short of a chopped off hand. Anyways, I like to use soap coloring because it’s made for purposes like this, but I did notice that food coloring washes off of your hands better (and I’m pretty sure it scrubs off way better of floors and furniture too!). When you wash your hands most of the soap coloring comes off, but some of it might still stubbornly stick to your nails. When you’ve used food coloring your hands will still be covered in dye but after you wash them no trace will be left (at least in my case there wasn’t). If you are worried about staining or want to make this with kids I recommend using food coloring or just leaving the color out. You can also wear gloves to protect your hands from the color. Also keep in mind that these soap bars are in no way edible, especially when you’re making this with small children. Now that you have your (colored) dough you can make whatever shapes you like/need/want! Because of my patriotic 4th of july theme I choose stars. I didn’t have a star shaped mold so I just cut out a shape that looked like a star and then molded it by hand. The consistency of these soap bars really is like play dough! Imagine all of the different shapes you could make with this recipe. You can really change it up with every theme! I also made these round spiraling soap bars. First I rolled the dough of all three colors flat. Then I placed them on top of each other. Starting from one side I rolled them all together until I had one big roll of dough. Next I cut it into equal slices. 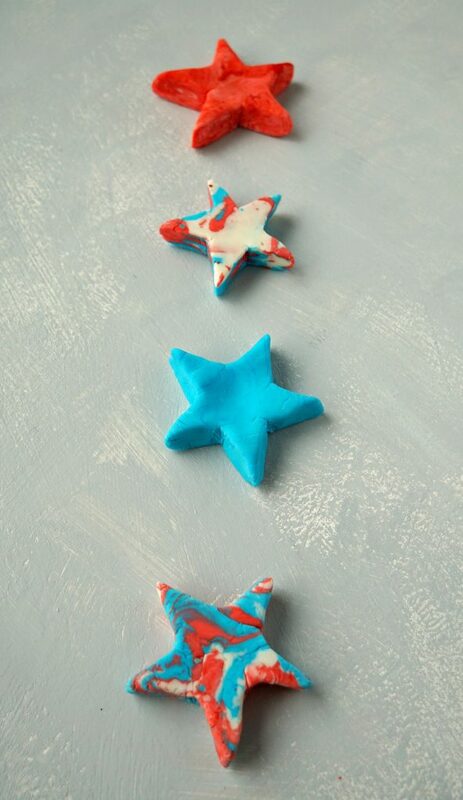 Last but not least I combined the leftovers from all 3 colors and made 2 more stars that turned out to make this cute colored marble effect. This was a last minute idea but in the end I think I like these the best! Now you can store them in an airtight container if you want them to stay ‘squishy’ and soft for as long as possible. They will dry out after a while. Once you’re happy with your shapes, place the bars on a flat surface to dry. Instead of placing these in an airtight container you actually want to let them air dry so the outside becomes as solid as possible. Once you hold them under running water they will become soft again. To preserve these the best you can I recommend pinching off a small piece of the bar when you’re ready to use your soap bar. My favorite method is to knead the piece and rub it in the palm of my hand under running water. It’s the most fun you’ll ever have washing your hands! A very easy craft that'll give you hours of fun! Create your own shapes and colors. There are no limits to your imagination! Add 1/4 cup of body wash. Stir together with a spoon until it starts to form a dough. Dust your work surface with a light coating of corn starch. Transfer the dough onto your surface and knead the mixture into a ball. Keep kneading until the mixture no longer sticks to your hands. It should look smooth on the surface and dry as you hold it in your hands. Divide the soap dough in several pieces, using a knife for example. 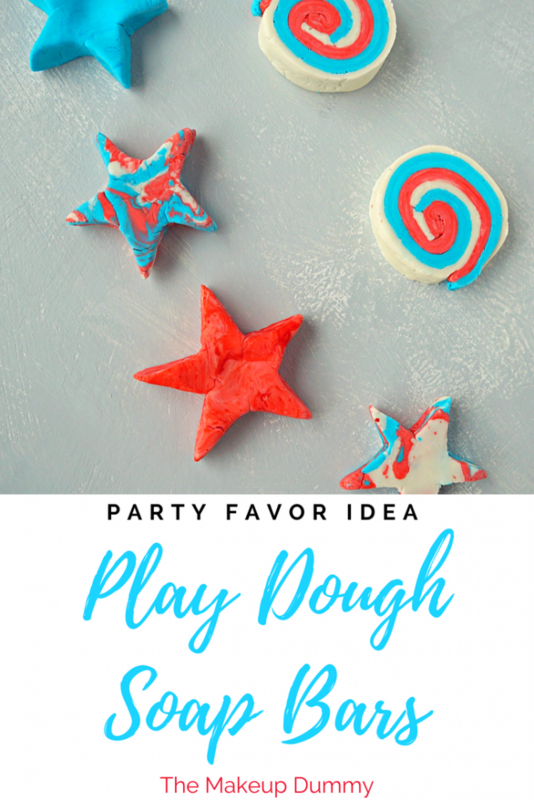 Stretch out the dough and put a drop of soap or food coloring in the middle. Fold the dough so the drop is locked inside. Then fold it a couple of more times to distribute the color evenly. Now you can make whatever shapes you like/need/want! 1. The coloring can stain your hands when you add them to the mixture. You can use gloves if you want to avoid this. Once the soap dough bars are done they won't stain anymore. 2. Keep in an airtight container to keep the soap dough 'squishy' and soft for longer. Let them air dry if you want to turn them into soap bars. 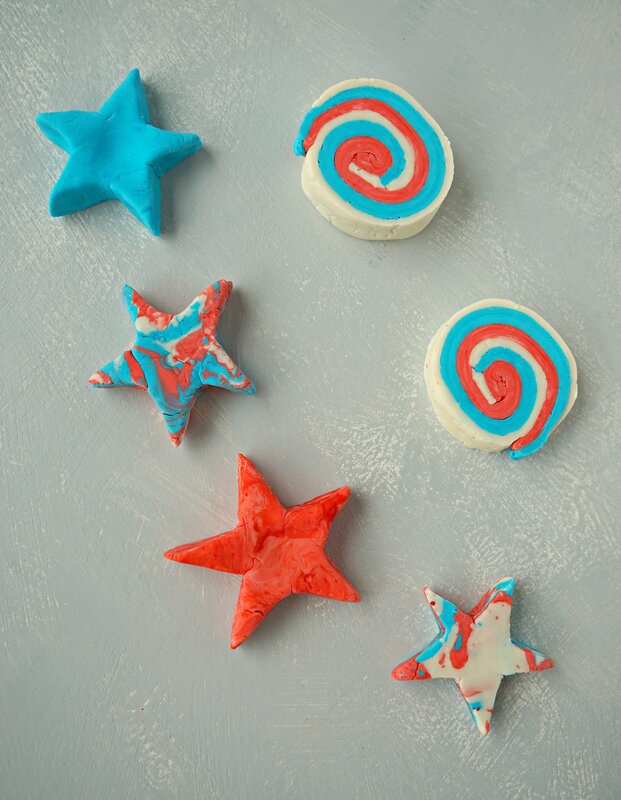 Surprise your guests with these homemade 4th of July soap bars by placing a few in your bath room, hand them out as themed party favor gifts or organize a fun craft activity!